Tuesday nights are open to anyone You may pick a basket that you would like to make from the description of baskets and then select a date. 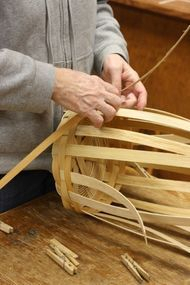 You must sign up for the basket you choose to make in advance (so we can get all the supplies cut and ready.) Please fill out the contact form or call Niki at (609)652-0366. Niki will notify you only if the class is full. Otherwise come and enjoy watching many different creations happen before your eyes! 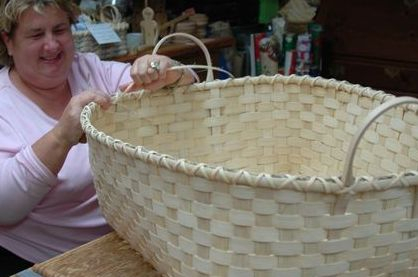 Friday nights are reserved for Friday Night Friendship Classes where you and 5 or more friends (up to 10 people) can enjoy an evening of basket making just for you and your party. You may choose any baskets from this schedule and have an enjoyable productive evening with your friends, colleagues, members from your church, bridal party, or anyone you choose! ***New in 2017***** At all Friday Night Friendship classes homemade treats, water and tea will be served. Please call me to reserve your space as soon as possible as class dates fill up quickly. Please see our SCOSA schedule for all available Saturday classes.